Sign up for Our Mailing List and Get 15% off Your Next Order! Every purchase you make at CavalierTeamShop.com benefits Academic Support for UVA student athletes. POPULAR LS TOP WITH DRI- FIT TECHNOLOGY. FABRIC UPDATE FEATURES AN ELEVATED HEATHERED AFFECT. DESIGNED FOR THE NEEDS OF THE COACH DURING PRACTICE. SCREEN PRINT TEAM LOGO LOCATED LEFT CHEST, SCREEN PRINT SWOOSH DESIGN TRADEMARK ON RIGHT CHEST, AND WOVEN LOCKER LOOP LOCATED ON CENTER BACK NECK. Copyright © 2019 All Rights Reserved. 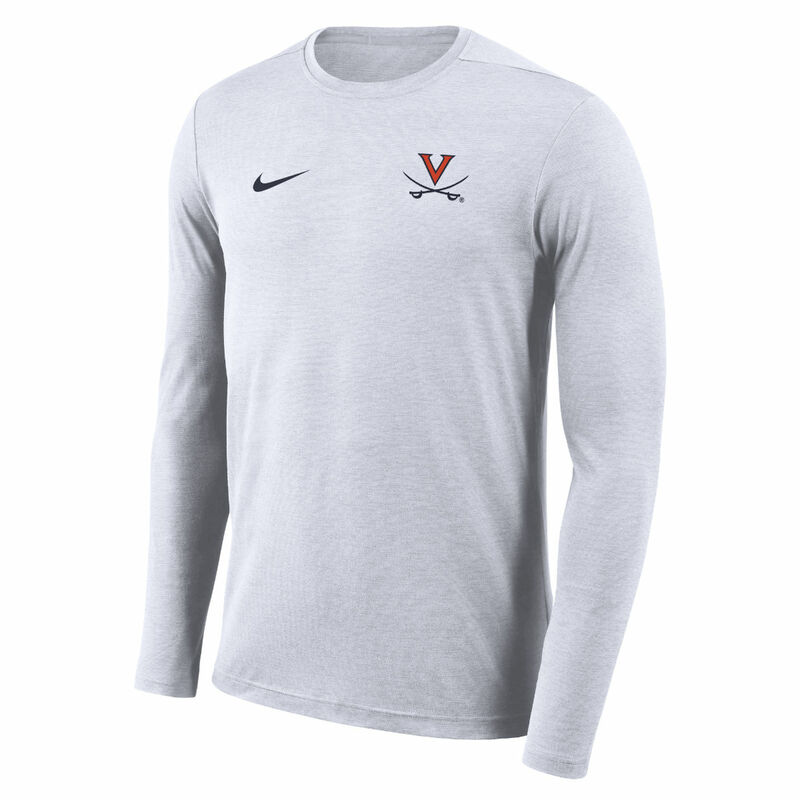 Musictoday II, LLC, is the seller of all UVA Athletics merchandise and is solely responsible for all aspects of your purchase.